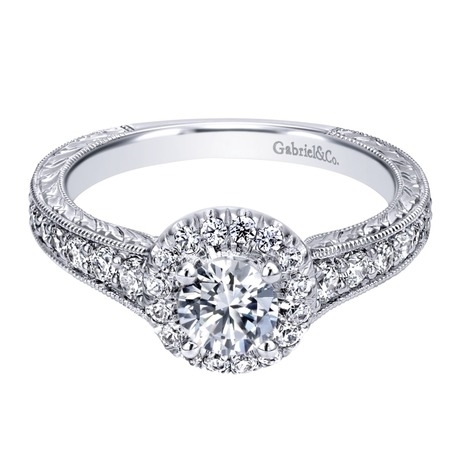 This round diamond halo engagement ring features a round center diamond, side round beautifully set diamonds, and gorgeous metal work along the shank! Pick your up today and watch her say yes! 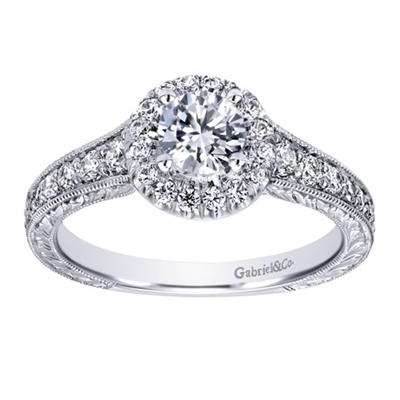 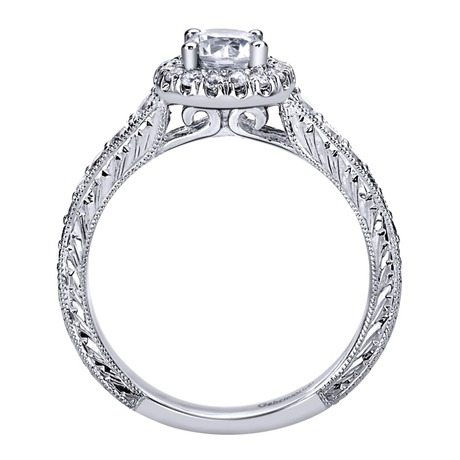 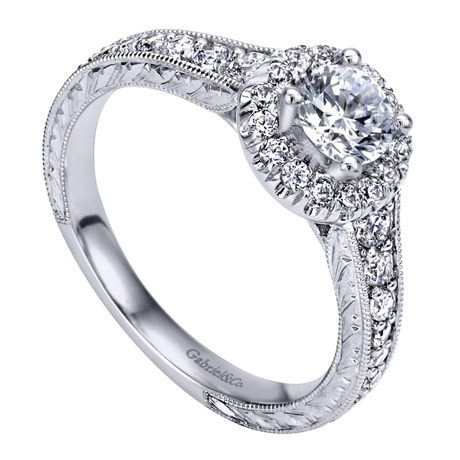 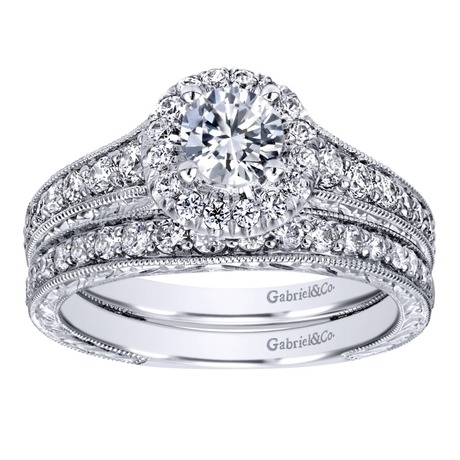 This diamond halo engagement ring features a round center diamond included, rows of round diamonds adorning the white gold shank, and intricate metal work, that adds to the glisten of this halo engagement ring, available for special order!